Launch MAMP. Open Terminal by typing terminal into Spotlight (Command + Space). Open MAMP Preferences (Command + , ) and click on Reset MAMP Ports (Port 8888 and Port 8889 for Apache and MySQL respectively). Click on OK.
Switch to the terminal. Type sudo apachectl stop to shutdown the system Apache. 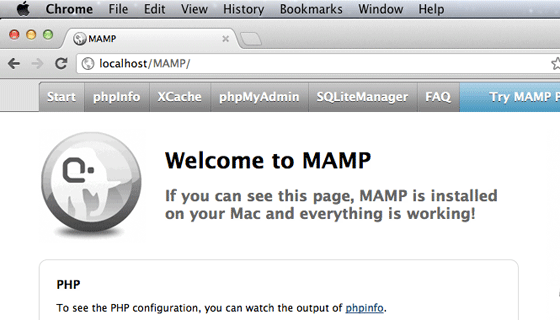 Open MAMP Preferences once again and click on Set to Default Apache and MySQL ports. This will set the Apache and MySQL ports to 80 and 3306 respectively. Switch to the terminal. Type sudo apachectl restart to restart Apache. This is useful in certain cases, for example WordPress multi-site installation where you cannot create a network if “WordPress address (URL)” uses a port number other than ‘:80’, ‘:443’. Setting preferences in MAMP usually works without a hassle but I encountered this problem, today morning. Only the default MAMP ports seemed to work, no matter what I set in the preferences. This led to a lot of wasted time and productivity. I hope this how-to guide saves you some hair and valuable time. As a Research Intern at Gade Autonomous Systems, I had the opportunity to implement the Human-Robot Interaction module on a NAO humanoid robot to promote linguistic and social learning in children with autism spectrum conditions. 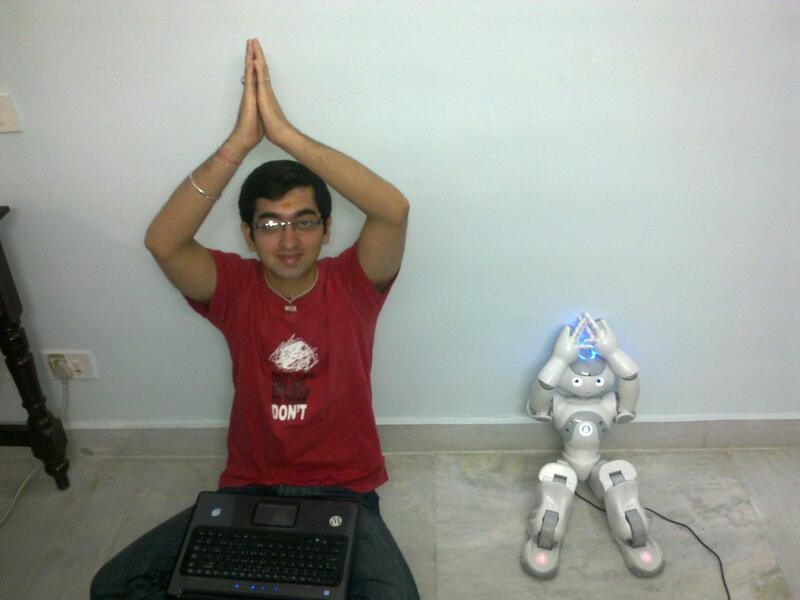 For development, I used Python for programming and Choreographe by Aldebaran Robotics running on a Ubuntu 11.10 machine. The behavior was simulated on NAOsim powered by Cogmation Robotics running remotely on a Windows 7 machine. By building this behavior, I learned about the well designed interface between the simulator (NAOsim) and the development suite (Choreographe and Telepathe). The number of times NAO fell on his face in the simulator highlighted the importance of extensive testing and simulation with in a physics-enabled environment before deployment in the wild. My understanding about the synchronous and asynchronous flows improved greatly using the box-based GUI and, eventually, I programmed the flows using the API as well. An idea from my dad, and observing the locals practice their tradition inspired me to build this particular behavior into the initial Human-Robot Interaction module. Hope you enjoyed watching the video. pyblobs is a Python interface for cvBlobsLib. To use it with OpenCV 2.1 on Ubuntu 11.10 follow these steps. If you are using Python 2.6, then use sudo apt-get install python2.6-dev instead. If you are using Python 2.6, then after patching edit make_swig_shadow.sh and replace any occurennces of python2.7 with python2.6 . If all goes well, you shouldn’t see any errors. Now you can work with pyblobs and OpenCV2.1 on Ubuntu 11.10! with import cv2.cv as cv to use the new API as cv.MethodName() instead of cv.cvMethodName() or highgui.cvMethodName(). Makes life a lot easier!